Today is an important day because it is a reminder for us Christians that 2019 years ago our Saviour, Lord Jesus Christ rose up from the grave. It is also a reminder for us to tell others who don’t know Jesus that our God is not dead but a living God who forgives and saves. He is risen! HALLELUJAH! 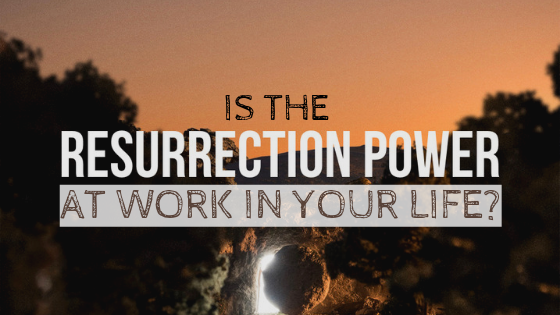 We will look at the power of the resurrection thought the lens of Peter. Peter was an ordinary fisherman man – an uneducated man. He encountered Jesus in an amazing way. He saw an amazing catch of fish and Jesus said follow me. Peter left his business aside and followed Jesus, traveled with him and ate with him. Jesus gave authority to all disciples to heal the sick and cast out demons. Peter healed the sick and saw Jesus raise Lazarus from the dead. 13 When Jesus came to the region of Caesarea Philippi, he asked his disciples, “Who do people say the Son of Man is?” 14 They replied, “Some say John the Baptist; others say Elijah; and still others, Jeremiah or one of the prophets.”15 “But what about you?” he asked. “Who do you say I am?” 16 Simon Peter answered, “You are the Messiah, the Son of the living God.” 17 Jesus replied, “Blessed are you, Simon son of Jonah, for this was not revealed to you by flesh and blood, but by my Father in heaven. 18 And I tell you that you are Peter,[b] and on this rock I will build my church, and the gates of Hades[c] will not overcome it. Peter who Jesus was: the Resurrection and the Life, the Messiah, and the Son of the Living God. A time came where everyone were plotting to kill Jesus, his own disciple betrayed him and all the disciples scattered, but Peter followed Jesus. How did he follow? Notice the word at a distance. Peter followed Jesus at a distance and at that time of testing, Peter followed Jesus saying “I don’t know who he is, I don’t know this man, I swear, seriously I swear I don’t know who he is.” Like this he denied Jesus 3 times. Even though Peter had this amazing revelation, saw signs and wonders and miracles he was afraid. He walked at a distance and denied Jesus. Now this brings us to the Resurrection. Jesus is alive, he is living and breathing. He appeared to his disciples and gave them a job to do: to go and proclaim the gospel to the ends of the Earth to every nation, every tribe and tongue. This brings us to recommitment. 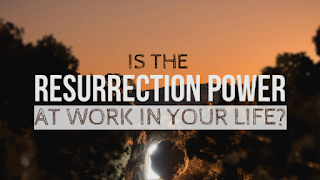 We see how Peter, filled with the Holy Spirit allowed the resurrection power to work in his life. He proclaimed the gospel with signs and with wonders and many gave their life to Jesus. Fearful Peter became fearless Peter. Hopeless Peter became hopeful Peter. How do we know that? 3 Praise be to the God and Father of our Lord Jesus Christ! In his great mercy he has given us new birth into a living hope through the resurrection of Jesus Christ from the dead, 4 and into an inheritance that can never perish, spoil or fade. This inheritance is kept in heaven for you, 5 who through faith are shielded by God’s power until the coming of the salvation that is ready to be revealed in the last time. 6 In all this you greatly rejoice, though now for a little while you may have had to suffer grief in all kinds of trials. 7 These have come so that the proven genuineness of your faith—of greater worth than gold, which perishes even though refined by fire—may result in praise, glory and honor when Jesus Christ is revealed. Peter lived with conviction that suffering on Earth is worth nothing compared to the glory and the inheritance that will be revealed when Christ returns. This caused him to proclaim the gospel with hope and fearlessness. Peter is a representative of us in many ways. In many ways we are like him. We know who Jesus is, we have seen the miracles, signs and wonders, yet sometimes we are afraid and we walk at a distance and lack intimacy with Jesus. Sometimes we don’t tell our friends, we keep quiet but the resurrection power transformed Peter and it can you and me, it can transform this nation, it can transform every person. Are we living in fear or are we living a hopeful and fearless life? Let the love of Jesus cast out every fear from your life. Jesus loves us so much. Imagine for the first time when you fall in love with your respective wife. You go full out – you express your emotions, you give your time for your loved one. You will prioritize your time for the loved one. You will cook, bake, and things that you didn’t do you would now do. Sometimes you may stay up whole night talking to your loved one. You will keep checking on the person. In times of difficulty you will stand with that person – in sickness, in trials and in every circumstance you will not leave that person. Even if the whole world is against your loved one you will stand with that person protecting and defending. Jesus did the same for us. As you spend time with Jesus let his love cast out every fear in your life. Let us also love one another like Christ loved us. If there is any resentment or unforgiveness, let love cast it all out. Are we allowing the gospel to transform our life or do we need to come to a place of recommitment? Word of Grace is an Evangelical (Born Again), Spirit-filled (Charismatic), Reformed, English speaking church in Pune that upholds the Bible as God's inspired Word for life. We are a church community that has people from every part of India and parts of the world. We are here to put the Great Command and the Great Commission into practice by equipping and releasing every member into works of service. Word of Grace is a part of a wider international family of Churches called RegionsBeyond.To know more about us please log onto www.wordofgracechurch.org. My wife Jenn and I went to a political rally where emotions were running high. We way we knew that is because whenever an African American man came on the stage, the whole crowd go crazy and start weeping thinking it was Obama. This scenario illustrated a troubling reality. They were putting their hope into a potential kingdom that would not last. There is an eternal kingdom and an eternal king and we have hope in that kingdom. Q1. What were the crowds doing right? 1. Recognizing Jesus as the King of Israel. They read the prophecy from Zephaniah correctly. Q2. What is left to take issue with? Q3. What kind of salvation were they seeking? They were eternal people, greeting an eternal being asking for a temporal salvation. More often than we like, that’s no as well. We want Him to save us from uncomfortable circumstances. Are they calling out for freedom from oppression of Rome or oppression of sin? Are they asking for a release from shame before men or their shame before God? Q4. What kind of a salvation do we seek? He came to seek and save the lost. He did not come to bring cozy life on earth. Can we affirm this statement? Is the Lord enough for us? 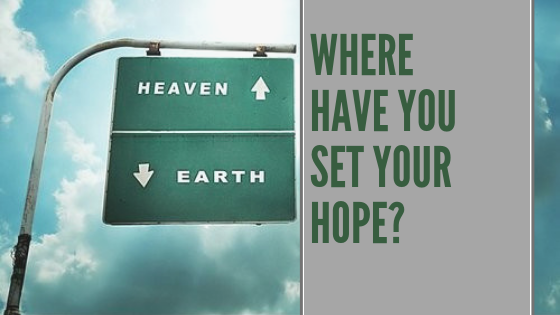 Are we putting our hope in this life or the life to come? Q5. So what do we do? 1 Pet 1:13 - 13 says "Therefore, with minds that are alert and fully sober, set your hope on the grace to be brought to you when Jesus Christ is revealed at his coming." Set our hope fully – moment by moment – that Jesus is coming and that He is King forever! 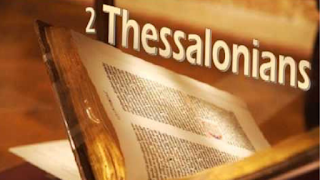 A Walk through 2 Thessalonians. 2 The 1:4 - Therefore, among God’s churches we boast about your perseverance and faith in all the persecutions and trials you are enduring. The Christians in Thessalonica were facing trials and persecutions. Trials are the challenges people face in their personal lives. Persecutions are sufferings we face because of the Gospel. In the midst of their discouragement, Paul was comforting them. What we need to do it, remind ourselves that we as Christians will definitely face trials and persecution but we take courage in the Word. 1 Pet 5:10 - And the God of all grace, who called you to his eternal glory in Christ, after you have suffered a little while, will himself restore you and make you strong, firm and steadfast. James 1:2-4 - Consider it pure joy, my brothers and sisters,[a] whenever you face trials of many kinds, 3 because you know that the testing of your faith produces perseverance. 4 Let perseverance finish its work so that you may be mature and complete, not lacking anything. We are asked to consider the trials and persecution as pure joy. That’s quite challenging. Why do we face trials and persecution? James 1:1-4 - James, a servant of God and of the Lord Jesus Christ, To the twelve tribes scattered among the nations: Greetings.2 Consider it pure joy, my brothers and sisters,[a] whenever you face trials of many kinds, 3 because you know that the testing of your faith produces perseverance. 4 Let perseverance finish its work so that you may be mature and complete, not lacking anything. We must consider it pure joy because, when we face trials,as our faith gets tested. When we persevere, we will become mature and complete. James 1:12 - 12 Blessed is the one who perseveres under trial because, having stood the test, that person will receive the crown of life that the Lord has promised to those who love him. We not only just become mature but also receive crown of life when we go to heaven. Trials – What could they be? – Illness, no jobs, financial difficulties, issues with relationships, work related problems etc. Behind all these trials, there is a purpose - our character gets built up. Persecution – suffering is a sign that we belong to Jesus. 2 The 1:5 - All this is evidence that God’s judgment is right, and as a result you will be counted worthy of the kingdom of God, for which you are suffering. So, our troubles are not forever. God will pay back the people who trouble us. We all know that Jesus is coming back. Paul is encouraging the Christians in Thessalonica. In verses 7 to 9, Paul explained how powerful Jesus’s coming would be. When Jesus returns, he is going to give relief to the people who are being troubled. The people who were deceived at that time were born again Christians. 2 The 2:1-3 - Concerning the coming of our Lord Jesus Christ and our being gathered to him, we ask you, brothers and sisters, 2 not to become easily unsettled or alarmed by the teaching allegedly from us—whether by a prophecy or by word of mouth or by letter—asserting that the day of the Lord has already come. 3 Don’t let anyone deceive you in any way, for that day will not come until the rebellion occurs and the man of lawlessness[a] is revealed, the man doomed to destruction. At that time, the born again Christians were being told that the day of the Lord has already come. Paul was asking them not to be deceived by those false teachings. What I’m trying to say is that even the born again Christians can get deceived by their fellow brothers n sisters or people from a different faith. What could be the deceitful beliefs we encounter today? Example) There’s no need to meet together on a Sunday, we don’t have to give tithes and offerings and instead we can give that money to the poor. 2 The 2:8 - not to become easily unsettled or alarmed by the teaching allegedly from us—whether by a prophecy or by word of mouth or by letter—asserting that the day of the Lord has already come. 3 Don’t let anyone deceive you in any way, for that day will not come until the rebellion occurs and the man of lawlessness[a] is revealed, the man doomed to destruction. 4 He will oppose and will exalt himself over everything that is called God or is worshiped, so that he sets himself up in God’s temple, proclaiming himself to be God. 5 Don’t you remember that when I was with you I used to tell you these things? 6 And now you know what is holding him back, so that he may be revealed at the proper time. 7 For the secret power of lawlessness is already at work; but the one who now holds it back will continue to do so till he is taken out of the way. 8 And then the lawless one will be revealed, whom the Lord Jesus will overthrow with the breath of his mouth and destroy by the splendor of his coming. We can see how powerful Jesus’s return is. We cant even kill an ant with our breath. We serve the Creator of the universe, King of Kings, Lord of Lords. We serve a mighty God. 2 The 3:6-8 - 6 In the name of the Lord Jesus Christ, we command you, brothers and sisters, to keep away from every believer who is idle and disruptiveand does not live according to the teaching[a] you received from us.7 For you yourselves know how you ought to follow our example. We were not idle when we were with you, 8 nor did we eat anyone’s food without paying for it. On the contrary, we worked night and day, laboring and toiling so that we would not be a burden to any of you. Word is good. Even Adam was given work. His work was to take care of the garden. We are made to work. We are created to be productive. 2 The 3:11-12 - 11 We hear that some among you are idle and disruptive. They are not busy; they are busybodies. 12 Such people we command and urge in the Lord Jesus Christ to settle down and earn the food they eat. Some of those people gave up their jobs saying, Jesus is coming. This is unbiblical. We must work. If we do not work, we do not have a right to eat. Some of us may not have a job but this does not mean we stay idle. We must utilize our time to do something and be productive. To summarize, we as Christians, will face trials and persecution but we should not be discouraged. Instead, we put our faith in Jesus and persevere. This will build our character. While we do that, we shouldn’t be deceived by anyone through false teachings. WE need to be productive till Jesus comes. What do you consider the greatest thing for our lives ( apart from salvation)? What is the most important thing ever!! 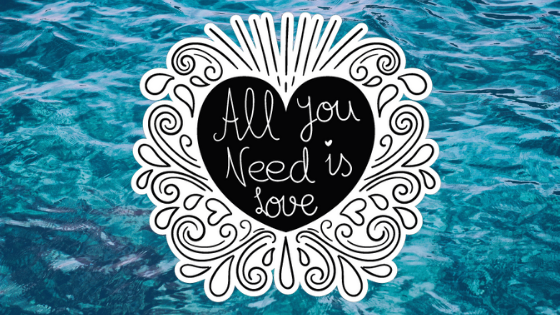 The Beetles wrote a song titled "All you need is love". They got that bit right but went about it the wrong way. What is the right way? We are going to look at LOVE today. Isn’t it great that Jesus starts off by reassuring us of His love.? He loves us as much as the Father loves HIM. That is the most perfect intense love ever!! HE said this to his disciples before they could even do anything for HIM. Rom 5:8 God demonstrated His love toward us in this that while we were yet sinners Christ died for us. God’s love for us is complete. We do not relate to Him from a place of fear of performance. We related to Him from a place of relationship and grace. How do we remain in His love? Have your alone time with God each day, when you allow him to talk to you and you talk to God. Jesus says obedience in an indication of love. The Pharisees were obedient. Was that an indication of love? Jesus spells out what this command is in verse 12 and 13. Verse 12-13 12 My command is this: Love each other as I have loved you.13 Greater love has no one than this: to lay down one’s life for one’s friends. Why is there this switch as it were, a shift in focus from our relationship with Jesus to our relationship with one another? He knew if He asked us to just love Him that would be easy. He asked us to love each other! He knew that was another story!! The test of our love for Him is in our obedience to this command; to love each other. We can be very good at communion with God but have no connection with people. It is a commandment. It is not a suggestion. Jesus says we can’t say we love God but hate our brothers. Well, you might say I don’t hate my brother. Do you love your brother as Christ? God is love. God is a relational God. God’s love is mentioned 310 times in the Bible and 179 times in the New Testament. 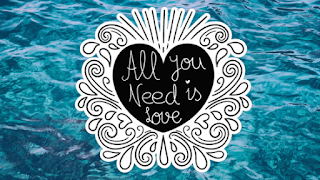 So if Jesus says that all I need is love then love is all I needWe rather hide behind rules, rituals, religious duty than invest in relationships which equals LOVE. V12 -Love each other as I have loved you. Love motivated the Father to send Jesus to the earth and die a horrible death to save us from eternal damnation by taking the judgment of all our sins upon His body on the cross. Love for us kept him there. Jesus said the world will know that we are his disciples if we have love one for another. This is very important. When we know and experience the love of God we are able to truly love one another. 1 Peter1:22 -Now that you have purified yourselves by obeying the truth so that you have sincere love for each other, love one another deeply, from the heart. V12b -as I have loved you. This is a comparative statement. It is saying love to the degree I have loved or in the manner in which I love. How does God love us? How did Jesus demonstrate His love. ? Jesus did two things – In John 13 it says to show the full extent of his love, he served the disciples by washing their feet. And then the final culmination of His love was His dying in our place. Jesus defined love for us – it is laying down our lives for each other. IN day to day terms what does it look like? It means putting the other person interest above my own. Love is an action word – feelings may accompany it. Love is a decision of the will. The Bible defines very differently. One only needs to look at ! Cor 13. That is our standard. Love is something we do for another person. That is why meeting like this on a Sunday is important. Christianity is a personal and corporate faith. Do you know how many bible verses are there that say “one another”? There are 59 verses in the New Testament on one another. You do not have to agree on everything to love. Unity is not uniformity. In essentials unity, in non-essentials liberty, in all things charity. If only we practiced this more!! v16. You did not choose me, but I chose you and appointed you so that you might go and bear fruit-fruit that will last. Intrinsically linked to our fruitfulness is our loving one another. Jesus deliberately intertwines the vine and branches. Most of us stumble on this thing called love. Very few people have left a church because of doctrinal differences but many have left because of hurt and unresolved issues. This is where we stumble and Jesus knew this. Look at God’s word and see how it asks you to respond in the face of conflict, disagreements, hurt and injustice. Sometimes I feel we Christians put a very heavy yoke on each other – that of perfection. WHAT PREVENTS US FROM LOVING? We need to stay connected. We cannot be a branch that is disconnected. Jesus has deliberately intertwined the branches and the vine. You don’t know which branch is passing the sap from the vine onto you. We all carry around a “Spec to meter” We are very good at counting the spec in our neighbor’s eye. This clouds our judgment and vision of people. We need to shed a critical and judgmental spirit. Why was Jesus so harsh with the Pharisees? They were very obedient – but it was loveless and graceless. We need to remind ourselves of the Grace of God upon our livesWe need to have a sober judgment of shortcomings, our weaknesses and ourselves and extend grace to others. This never affects us in isolation. Slow poison will soon affect everything we touch. We will get bitter, cynical, untrusting of everyone. We have no choice when it comes to forgiveness. We have to let go in order to set ourselves free. Do yourself a favor and forgive today..
Luke 11:4 Forgive us our sins, for we also forgive everyone who sins against us. The disciples were jostling for power, promotion, and prominence. Remember John 15 is happening a few hours before Jesus’ arrest. They could not be in competition with each other nor in constant comparison. He wanted them to know the importance of first being connected to him they had to learn to get along with each other. It is the same with us. What I get from this passage is that it all about my relationship with Jesus and the other branches – my fellow Christ followers. Religion can snuff out and replace relationship so subtly that we can fail to recognize this shift in our hearts. We need the Holy Spirit, to help keep us in check and connected. As I crossed the 50 mark, I have become more and more aware that I want the second half of my life to count even more. All this is possible with lasting effect when I function from a place of knowing Jesus intimately and as in verse17 Jesus once again emphasizes “love each other”.